2015 APHA stallion. Tinker With Guns X 1997 APHA mare. Lenas Sugarman X Doc Olena Twice (Lenas Sugarcane X Delta Susan Olena (Delta Olena). PE 10K+ LTE Olena).Enrolled in the NRHA Futurity as 7K NRHA in both Open and Non Pro well as the NRBC. Coming along nicely competition. This mare is sweet and under saddle. simple to ride. Now retired to trail rides and producing the next generation of NRHA winners. 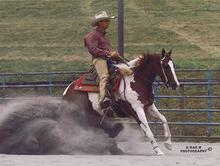 2011 APHA stallion. 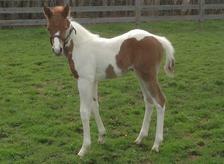 ZeZes Pepto Cat X Doc Olena Twice (Lenas Sugarman X Delta Olena). 2015 OPHC Ranch Riding Champion.